Vehicle registration renewals, Voter registration, Tax Collection, Tax Information, Dog Licensing, Recording official documents, Issue civil marriage licenses, Issue certified copies of vital records, Maintain Town records such as land records, maps, minutes of meetings, etc., Notary public (no charge), Transfer Station Punch Cards, Hunting & Fishing Licenses, Green Mountain Passports, and the Monthly Wallingford Newsletter. Download the paygov mobile app and enter Wallingford’s Pay Location Code (PLC) 37307. DO NOT SEND ANY PAYMENTS TO US FOR THE WALLINGFORD FIRE DISTRICT OR ANY OTHER ENTITY. They will be rejected. If you have any other suggestions as to how the Town Clerk’s office can provide a higher level of service, please give us a call at 446-2336. If you wish any information about our town, please feel free to call or visit us. We’re open Monday – Thursday 8:00 a.m. and Friday 8:00-11:30 a.m. We do not close for lunch. Disability Rights Vermont has produced “Voter’s Guide for People With Disabilities.” To review the document, click here. Tax bills are mailed ONLY once each year for the entire tax year. You will receive a tax bill in August with one-half payment due in October and the remaining one-half payment due in April. Post-dated checks are not allowed and will not be held. Credit/debit card payments are accepted, but please note payments must be processed online by 4:30 p.m. EST on the due date. To pay by credit/debit card, click on the link above in the Electronic Payments section. If you purchase a property after April 1st, you will not receive a new bill in your name (or Transfer Station punch cards/sticker) until the following tax year mailing. Your attorney should have made you aware of this and all outstanding taxes due are your responsibility. Contact the Town Clerk’s office at (802) 446-2336 if you need a copy of the bill. The Town of Wallingford will charge a $25 fee for all checks returned for any reason. FY19 Tax Rates: Town .3508 cents; Local Agreement .0049 cents; Homestead Education $1.3443; Non Residential Education $1.4635; Fire Protection (FD1 & FD2) .0861 cents; FD2 .0059 cents. Vermont resident homeowners must annually file a Declaration of Homestead on their principal dwelling. Due date is April 17, 2019. Late filing penalties will be applied. 2018 Property Tax Adjustment Claim Form HS-122 Section B Eligible Homestead owners must annually file a claim to receive an adjustment to property tax. Generally an adjustment is not available to households whose income is $99,000 or more. Claims for Property Tax Adjustments are due April 18. Those who file after April 17 must pay a $15 late filing fee, which will be deducted from the Property Tax Adjustment. Claims filed after Oct. 15 or incomplete claims will not be accepted. In order to file a property tax adjustment claim, you must meet all of the following eligibility requirements: • Your property qualifies as a homestead, and you have filed a Homestead Declaration • You were domiciled in Vermont for the full prior calendar year • You were not claimed as a dependent of another taxpayer • You own the property as your principal residence on April 1 of the calendar year • You meet the household income criteria Ready to file your claim? Review the filing checklist to make sure you have the correct forms. Dog licensing is an annual event. Dogs more than six months of age may be licensed any time after January 1st of a calendar year, but must be licensed no later than April 1st of the same year in order to avoid the additional fee assessment. If a dog reaches 6 months of age after April 1st, the owner must apply for a license within 30 days; the fee is reduced by half after October 1st. All dogs must have a current rabies vaccination. All dogs over three months of age shall be vaccinated against rabies. The initial vaccination shall be valid for 12 months. Within 9 to 12 months of the initial vaccination, the animal must receive a booster vaccination. All subsequent vaccinations following the initial vaccination shall be valid for 36 months. We have a leash law that states that a person shall not allow a dog to run at large except upon the property of the owner. Remember to license, leash and love your pet! Marriage Licenses. If you’re getting married and live in Wallingford, you must obtain your license from the Wallingford Town Clerk. 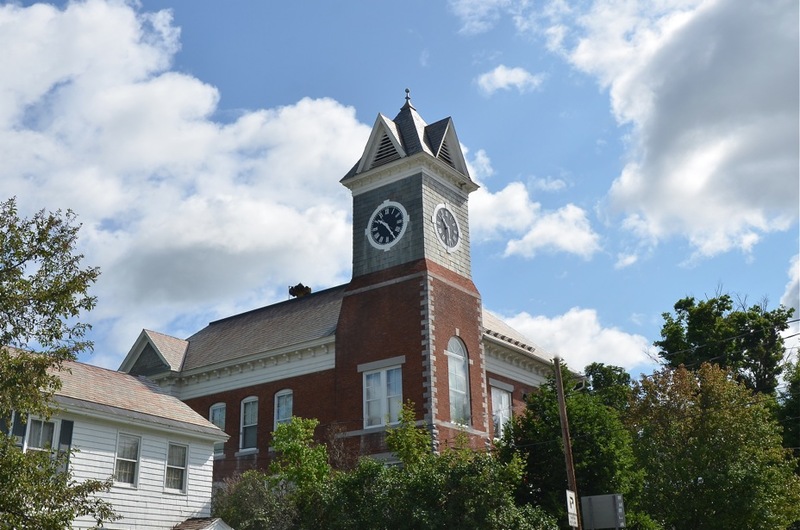 If you reside in another Vermont town, you must obtain your license from the town of your residence. If neither party is a Vermont resident, you may obtain your license anywhere in Vermont. The license costs $60, and is valid for 60 days from the date it is issued. During that time period, an authorized person must perform your wedding ceremony — otherwise, the license is void. Besides basic information about yourselves (names, towns of residence, places and dates of birth), you must also provide your parents’ names, including your mothers’ birth (maiden) names, and their places of birth. Vermont law requires that at least one of you sign the license in the presence of the town clerk, certifying that all the information you provided is correct. Vitals. Due to the recent passage of Act 46, new rules for Vital Records intend to bring Vermont in line with best practices to enhance the safety and security of vital records and provide greater protection against identity theft. Delayed until July 1, 2019, certified copies of birth and death certificates can only be issued to family members, legal guardians and certain court-related parties and legal representatives. Applicants must complete an application and show acceptable identification. Applicants who are not eligible to receive a certified certificate (e.g. people who are not family or who provide unacceptable identification) will be referred to the Vital Records Office at (802) 863-7300. Green Mountain Passports. The Green Mountain Passport Program was started in 1973 by enactment of the Vermont General Assembly. To be eligible for a passport, you must be: a resident of Vermont and 62 years old or older, or a Veteran of the uniformed services – provide form DD214 or see indication on driver’s license (after 7/1/13). The card covers day use to Vermont state parks and admission to Vermont Historic sites. Apply for a passport at the Town Clerk’s office for $2.00. Questions, call 1-802-241-2401. Recording Official Documents. Recording fees are $10 per page for all documents recorded. Make checks payable to the Town of Wallingford. Certified copies are $10 per document. All deeds conveying property (even if no money is exchanged) must have a Vermont Property Transfer Tax Return. There is a $10 filing fee for this form. Contact the Vermont State Tax Department for information on this form: (802) 828-2542. UCC filings – $35. Posted Land Recording – $5. Survey Plat Maps – $15. Vermont records all Land Records by Town or City. There is no county recording system in Vermont. Zoning. Wallingford adopted new zoning regulations in August of 2015 along with a revised Zoning Permit Fee Schedule. For more information, click here. The Zoning Administrator can be reached at 446-2974. Trash. The Transfer Station is a service provided to property owners and renters. The Transfer Station is located on Waldo Lane, just west of Route 140W after the bridge. The Transfer Station is open Mondays & Wednesdays Noon –5:00 P.M. and Saturdays 8:00 A.M.–Noon. All garbage must be in bags and the transfer station attendant will punch a hole in your punch card for each bag. Annually, property owners receive a packet containing one 50-hole and one 20-hole punch card with their tax bills. Residents may purchase additional cards at either the Town Hall or Transfer Station. The 20-hole punch card is $20; the 50-hole punch card is $50. Each vehicle accessing the facility must display a municipal sticker, which are available at the Transfer Station or Town Hall for $3 each. There are varying fees for scrap metal, furniture, tires, yard waste and other materials. We host household hazardous waste days two times a year. Zero Sort and e-waste recycling is free. Returnable bottle and can donations are accepted on behalf of local school groups.